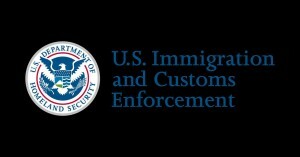 According to a recent Rasmussen poll, 55% of Americans are opposed to getting rid of ICE, Immigration and Customs Enforcement, while only 25% are in favor. After all of the MSM and Democrat blitz against President Donald Trump on illegal immigration policy, Americans can see through the BS. Americans realize that Trump is doing the same thing as the three Presidents who preceded him, including Obama. But for some reason the LEFT, MSM and Democrats were silent when that occurred. Now with all the cries from the LEFT and Democrat politicians to abolish ICE, a majority of Americans say no. 69% of Republicans and 53% of voters not affiliated with either major political party oppose getting rid of ICE. Immigration is said to be a top issue going into the 2018 midterm elections and the Democrats are on the wrong side of most Americans. THE LEFT ONCE GAIN OUT OF TOUCH WITH THE AMERICAN PEOPLE … SANCTUARY CITY POLICIES OUT OF TOUCH WITH THE GENERAL PUBLIC. 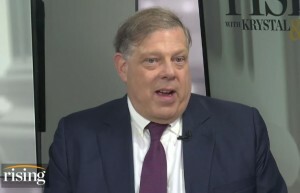 Democratic pollster Mark Penn stated during an interview with Hill.TV “Rising,” that 84% of Americans favor turning undocumented immigrants over to federal agents. Penn asked during polling, “Do you think notifying ICE would in fact increase crime because it would inhibit people from reporting crimes or does it decrease crimes because it takes criminals off the street?” According to Penn, the overwhelming majority said, “decrease.” This is in stark contrast with Democrats and Lefties who are calling for the end of ICE. Eighty-four percent of respondents is a lot more than just Trump voters and Independents. That would include many Democrats as well. But Democrats are openly calling for the end of ICE, which some think is insanity and a gift to the GOP. Ya think?